set in South Carolina in 1964, this is the tale of Lily Owens a 14 year-old girl who is haunted by the memory of her late mother. To escape her lonely life and troubled relationship with her father, Lily flees with Rosaleen, her caregiver and only friend, to a South Carolina town that holds the secret to her mother's past. 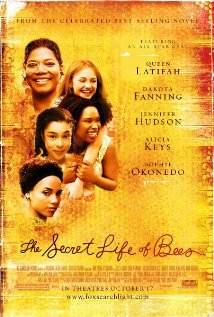 Taken in by the intelligent and independent Boatwright sisters, Lily finds solace in their mesmerizing world of beekeeping. 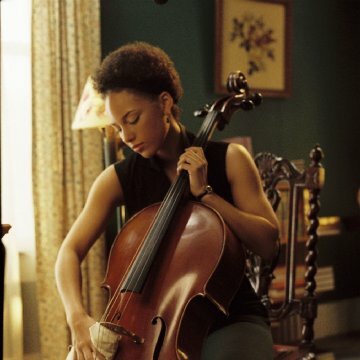 Alicia Keys learned to play the cello in 4 weeks for this part. Continuity: In the scene where Rosaleen and Lily walks down the dirt road to go to town, Lily wears shorts but when they get into town she is wearing longer pants. And also in the next seen where Lily is in the bedroom with her father she is back to wearing shorts again. Lily Owens: [First lines] I killed my mother when I was four years old. She was all I ever wanted and I took her away. I caught an exclusive screening of this film a week back and I must say, it might be the best film featuring a mostly black cast since "Antwone Fisher." 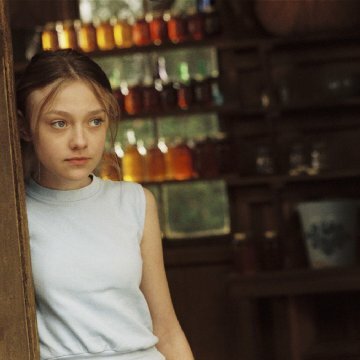 The story centers around Lily (Dakota Fanning), a poor, lonely little girl in the deep south, who deals with a tragic past and a miserable, cruel father (Paul Bettany). Her life revolves around dreams of being every bit like her deceased mother and her relationship with her caregiver Rosaleen (Jennifer Hudson). In the midst of the civil rights movement, Rosaleen finds herself in some trouble with the locals, inspiring Lily to flee with her to a South Carolina town that she believes holds the secret to her mother's past. 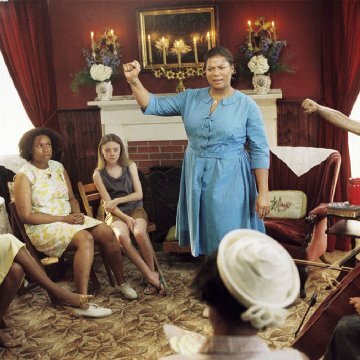 In this town, they find refuge with the Boatwright sisters (Queen Latifah, Alicia Keys and Sophie Okonedo), who take them in on the strength of a story concocted by Lily. Through their cultured world, filled with beekeeping, a lucrative honey business, religious beliefs and love, Lily finds the security she has longed for and finds the answers to questions that haunted her for years. The director (Prince-Brythewood) did a great job at making us care about the characters, even the miserable father played excellently by Paul Bettany. Alicia Keys shows that some R&B singers can actually perform well in a movie, playing the snooty June Boatwright. 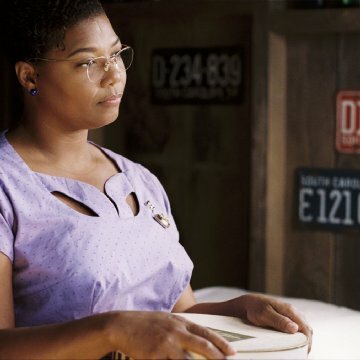 However, the best performances has to be between Fanning and Okonedo, who played the gentle, simple minded, manic depressive May Boatwright. If Okonedo reminded me less of Thandie Newton's character in "Beloved," I would've predicted an Oscar nomination depending on this year's competition. Maybe there's one in store for Bettany? Its all left to be seen. The film has its flaws. It dragged for a good portion of the first thirty minutes as we watch Lily and Rosaleen mill about, doing mundane things in their pitiful lives. But then it really picks up when they meet the Boatwright sisters. The characters were balancing on a thin line between empathetic and sympathetic. You never want to be in the latter. And the filmmakers couldn't resist being a bit schmaltzy on occasion, making most of it play like a good after school special with nothing beyond two dimensionality. And my biggest problem with the film... anti-climatic. Overall, its a solid film and definitely worth the time in seeing.